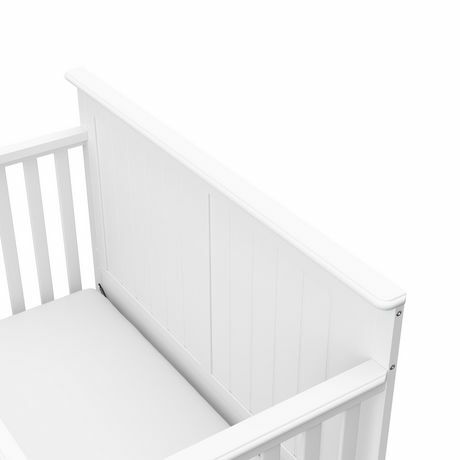 The Graco Ellis 4-in-1 Convertible Crib was designed with safety, innovation, and convenience in mind. 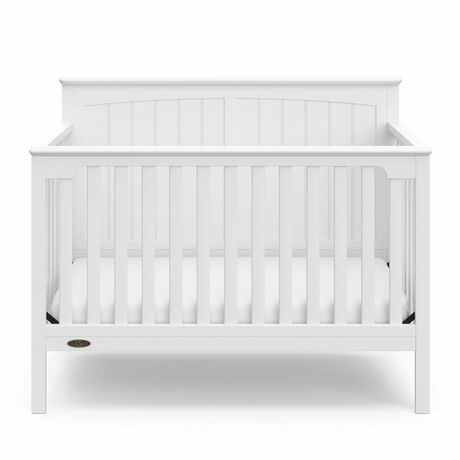 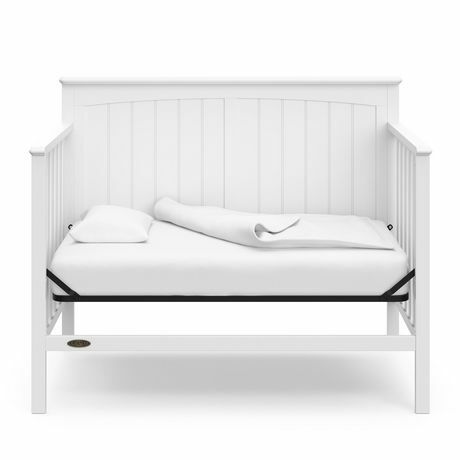 Available in White, Slate Grey, and Pebble Grey non-toxic finishes, the Ellis easily converts from crib to toddler bed, day bed, and full-size bed to grow with your baby throughout life’s different stages. 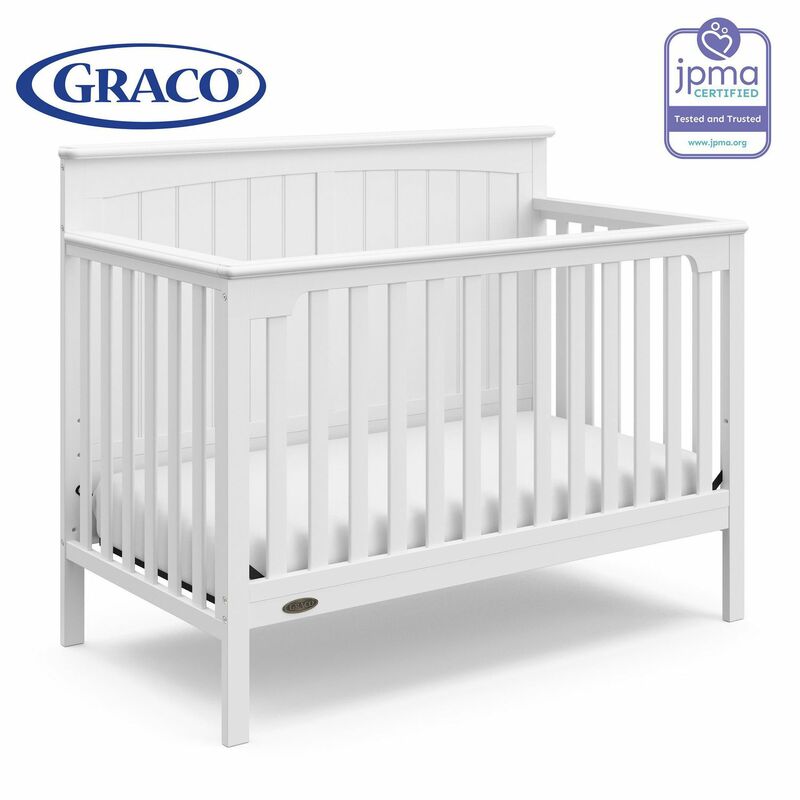 Like all Graco cribs, the Ellis is Canadian compliant, certified by the Juvenile Products Manufacturers Association (JPMA), and is meticulously tested to meet or exceed all applicable Consumer Products Safety Commission (CPSC) and American Society for Testing and Materials (ASTM) safety standards to ensure the safest sleeping environment for your child. 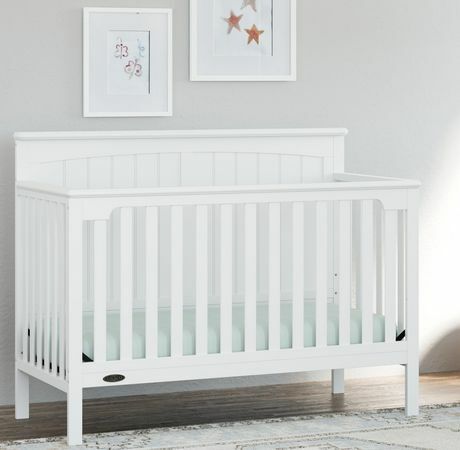 •4-in-1 Crib: Designed to grow with your baby, the Ellis easily converts from crib to toddler bed, daybed, and full-size bed; fits standard size crib mattress (bed frame and mattress not included). 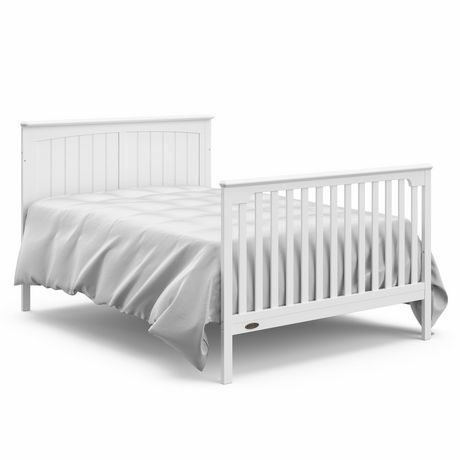 •Adjustable mattress height: The Ellis was designed with safety and innovation in mind, and features 3 adjustable mattress heights to grow with your baby. 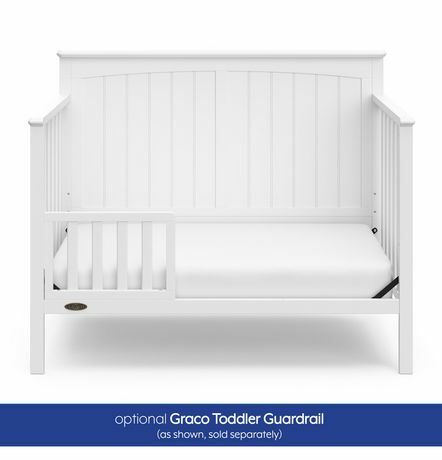 •Size: 54.66 inches (length) x 29.63 inches (width) x 43.53 inches (height); 57.6 pounds (weight); recommended maximum child weight (for toddler bed and day bed stages) is 50 pounds.